Welcome, book fiends! Gather round our bubbling cauldron of sakura potion -- it's time for a brand new giveaway! 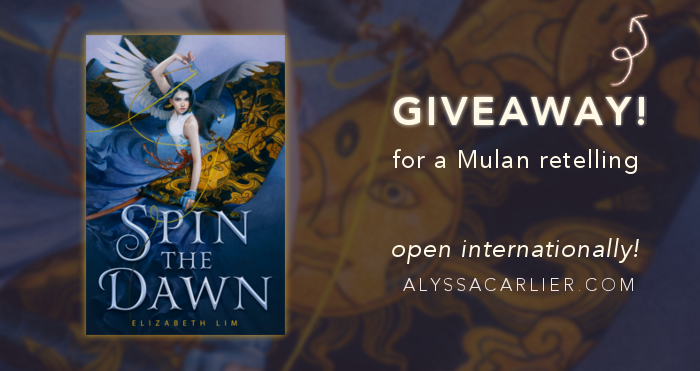 Today, we're giving away a signed copy of SPIN THE DAWN by Elizabeth Lim, pitched as Project Runway x Mulan. yES PLEASE. In order to become the imperial tailor, Maia Tamarin embarks on an impossible journey to sew three magic dresses, from the sun, the moon, and the stars. Aren't you enchanted just by that summary? This is a super hyped book and I'm very lucky to have read an ARC, so huge thank you to Elizabeth for giving away a signed copy. 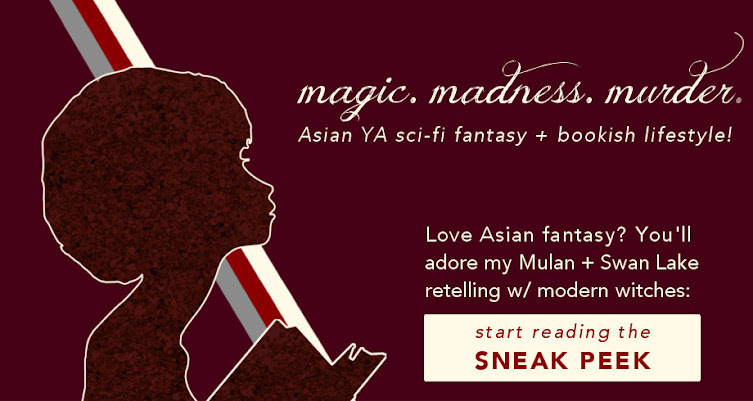 If you enjoy magical adventures and slow burn romance, be sure to join this giveaway! To enter the giveaway, simply type your email address below! This means joining my takeout army for our little regular giveaways, so I will send you emails about bonus entries, who won, and more giveaway information. reload the page if this form isn't visible. Look at this gorgeous aesthetic, illustrated by Tran Nguyen — can't you just feel the exciting adventure that Maia embarks on! Full review by moi to come. This giveaway will run until June 10th, at which point I shall select a winner and have a new giveaway for everyone else. Yay! This prize will be shipped internationally. Official details regarding this giveaway: No purchase necessary. Void where prohibited. Entrants must be 18 or above or have parental/guardian permission. Giveaway, bot, or other suspicious accounts will be removed at organiser's discretion. In holding this giveaway, the organiser does not endorse this book or this publisher. The prize will be a signed copy of Spin the Dawn by Elizabeth Lim, or another substitute prize at organiser's discretion. Winner drawn on June 10th. Entrants' email addresses are collected for the purposes of entry confirmation, notifying winners, providing information regarding bonus entries, and further updates on new giveaways. These details are subject to change.